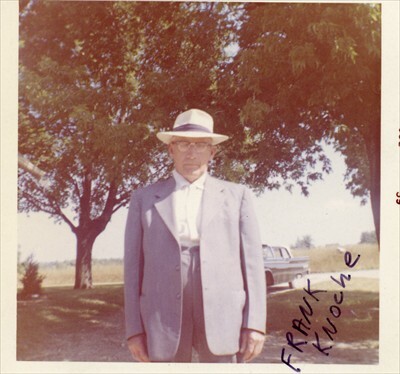 Francis (Frank) Knoche was born on July 28, 1881 in Altenilpe, Westphalia, Germany. He had learned a trade in blacksmithing when he was 14 years old. He emigrated in 1901 traveling on the ship Barbarossa, which left the port of Bremen on 20 July, and arrived in New York on 31 July. 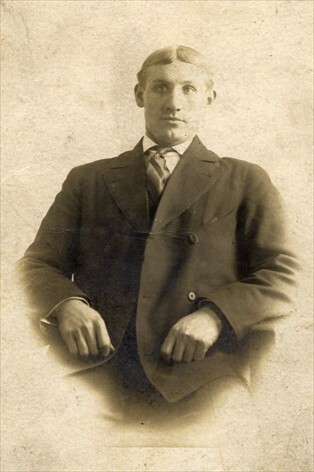 He first moved to the Detroit home of his brother-in-law, Anton Schulte, and later relocated to Five Lakes, in the county of Lapeer, Michigan. 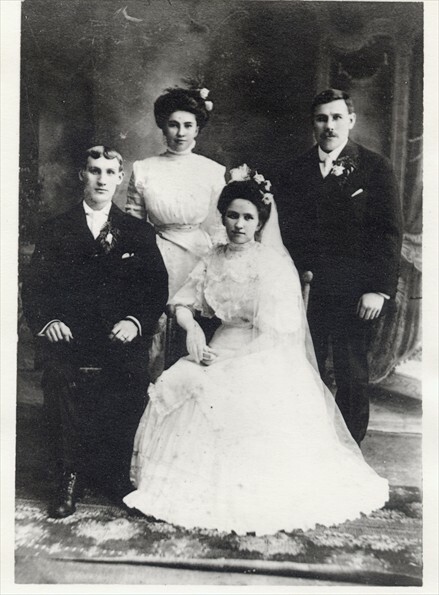 He married Mary Ann Lange on 17 February 1908 in Detroit. Tina Brinker, Mary's sister, and Henry Knoche, Frank's brother were witnesses. Frank and Mary raised five children. 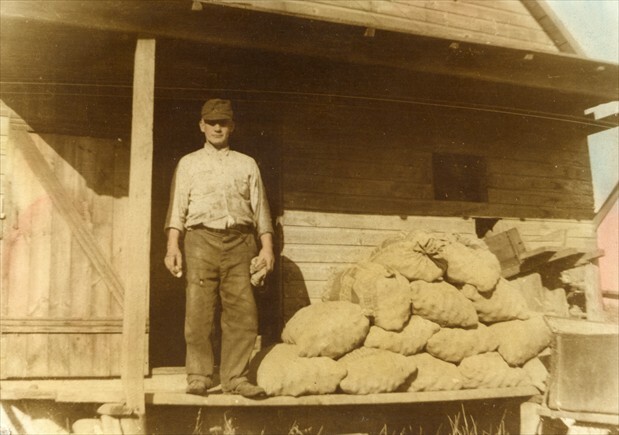 Frank built the Five Lakes Store in 1924 and he also had a blacksmith shop a small distance from the store. Farmers came from quite a distance to have him shoe horses and repair their farm machinery. He could make almost anything from iron. He also had an electric saw to saw lumber. He used to press apples into cider from the cider press he built. When he pressed cider all the children from the Five Lakes School would go after school and get a drink of the cider that was left. There was an old tin cup hanging on a nail, on a post that they drank from. That cider press was taken down and went to a museum, somewhere in Michigan. Mary died of cancer at the age of 43 on October 13, 1930. His daughter Margery, at 11 years old, had to take care of the store at that time, and raise her two younger brothers. Margery got though the 8th grade at the age of 11. 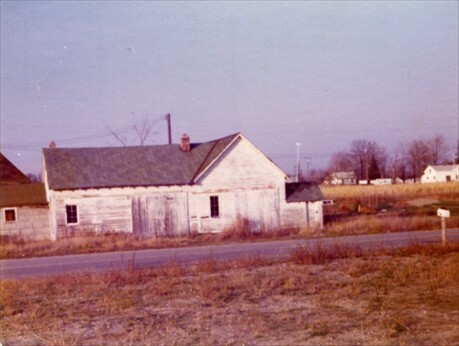 They sold the store in 1945 and moved on a farm around the corner and he continued to go to the blacksmith shop. In 1942 his son Louis was drafted into the army and was killed in action in 1945 near the Philippines. His son, Henry, was also drafted and he spent time in Italy. Arthur was exempt from the service due to the sight in one eye. 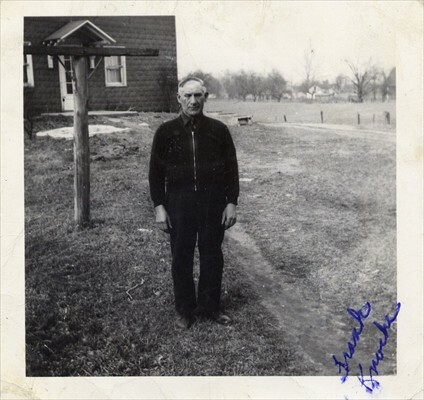 In 1948, Marge and family bought another farm and they moved again. It was only 1/2 mile from the blacksmith shop. On Sunday everyone would wake up to the odor of his cigars as the smoke would come through the upstairs bedroom register in the floor. He always went to church every Sunday in North Branch. He had a 1950 Ford and in 1959, he decided to buy a new car.He bought a little car that the family could barely squeeze into. One Sunday, while going to visit his daughter, Agnes, in Lapeer, the family was going down the dirt road that had a lot of sandy spots. The car got out of the tracks and everyone had get out and Frank (Marge's husband) lifted the back of the car up and moved it back in the tracks. He only had that car a short time and he bought a 1959 Ford. His old one had 25,000 actual miles on it. He would get up at 6:30 in the morning, fix his breakfast and go to the blacksmith shop by 7:00. He would come home for dinner at noon and go back to the shop. 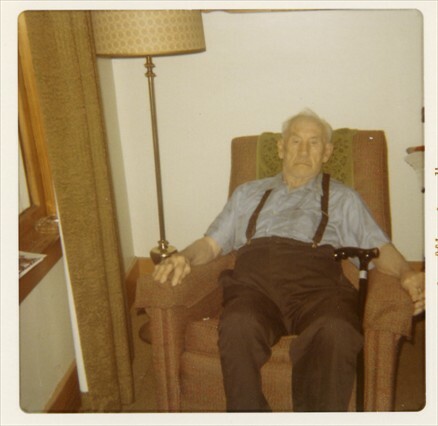 He would come home at 5:00 for supper and sit in his chair until 6:30 or 7:00 at the latest and then go to bed. A television was bought in about 1953 and he would never watch it. He didn't talk about his years in Germany. His granddaughter, Dorothy, and her husband went to Germany in 1960 and visited the home where he was born. The barn and house were connected. From the pictures that were taken, he said the home hadn't changed very much. The house was up on a hill overlooking a little town in the valley.There weren't very many neighbors. At 89 years old, the state took his driver's license away as he was a hazard on the road. After that his health declined, so Marge was taking him back and forth to the shop, but after a while he didn't want to go there any more. He stayed with Marge until he was 91 years old. He was finally put in an adult foster care home and eleven months later he died at the age of 92. It was his first time in the hospital and he died on November 12, 1973. 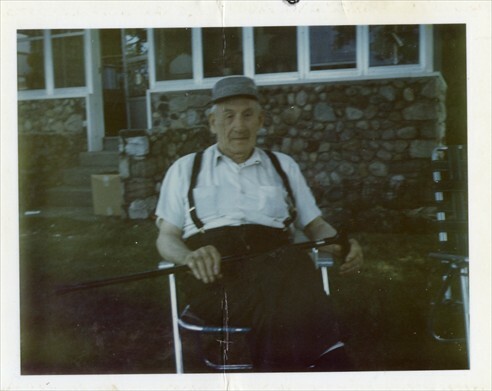 These remembrances and photos are courtesy of Dorothy Dennis, his granddaughter.